it all started so well. the team took care of most of the early primes, providing the upper hand over the polish and czechoslovakian teams. the only real danger seemed to emanate from the germans who latched on tenaciously over the first few stages. aside from a bevy of primes filling the team car with medals for 'working valour', picture postcards of the cinema in warsaw and some slightly careworn copies of 'das kapital', taking top honours in stages one and two was pretty much the icing on the cake. but then it all began to fall apart, when whatever luck may have been with us at the start made a startling about-turn. missed turns, taking three steps forward followed by two steps back and being easily passed by both the germans and the czechs undermined the optimism that had pervaded the team at the start of the 223km stage three from lodz to chorzow. 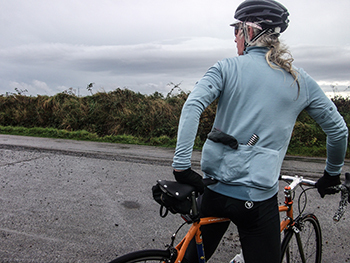 yes, there was the odd moment when, despite "freezing cold crosswinds and pan-flat herringbone brickroads, four punctures, three shipped chains and one stripped bottom bracket," the most exhilarating cycling we've ever done pulled back a good couple of spaces. the rest of the race really looked something of a lost cause, but at the last moment, a lucky throw of the dice brought the team leader across the finish line in prague ahead of the east germans who had looked pretty much invincible to the very last. granted, they easily scooped the team prize, with us brits languishing in second place, but at the risk of being overly parochial, a scotsman in yellow was a more than satisfying result. 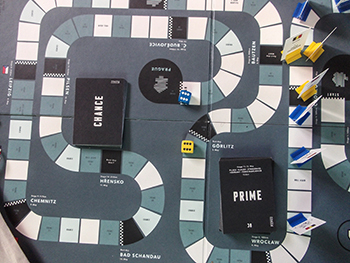 the ingenuity of writer herbie sykes is nowhere more manifest than in the creatively constituted peace race board game available as an optional extra accompanying rapha's commemorative peace race jersey. 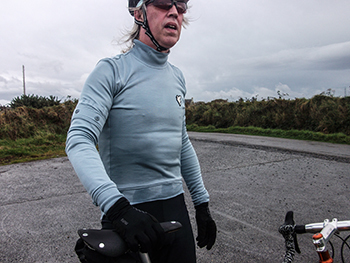 herbie published an interview with peace race winner ian steel in rouleur 18, and further renewed his association with the race in the more recent 'race against the stasi'. 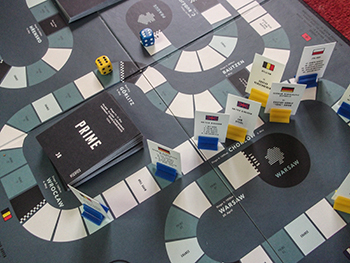 though the majority of board games follow a similar pattern, the graphical content of this one is tailored to those seen behind the iron curtain in the 1950s, even down to the rendition of the word rapha on the instruction set and the cloth bag containing the necessary pieces to play the game. but the crowning glory, for me at least, is herbie's writings on the back of both the chance and prime cards. even though two of those playing the board game were civilians, their enjoyment was considerably enhanced by those often abstruse explanations. "For some reason there's an elephant at the departure and a mangey looking llama. A furtive looking guy comes up and asks you to help him find his brother. He says he's somewhare in Siberia, stuffs a photo into your jersey pocket and then scarpers. It's of a guy, probably early twenties, and there's a German address on the back. It unsettles you (what are you supposed to do?) and you can't concentrate. Go back a place. if there's a downside to this, it's the fact that the board game was only available as an option to those intent on purchasing the rapha sportwool jersey and at extra cost. but then that's now of academic interest, for the game was produced in a limited edition of 100 and though the jersey has scarcely been around for more than a week or so, the games are now all sold out and likely destined to become collectors' items. the jersey, however, is still very much available and in a variety of colours. it celebrates the victory of the aforementioned scottish rider, ian steel, who sadly passed away almost exactly a year ago today, steel won the race in 1952, a date subtly embroidered on the central rear pocket. it differs from the more usual fare from imperial works in its emulation of the style of the period; there's no zip to be found anywhere about its person; the collar is fastened by means of two buttons on the left-side of the collar. i cannot deny that these are somewhat of a faff to fasten, especially when you're running a tad late on a sunday morning. however, as my mother always used to say "pride bears no pain." 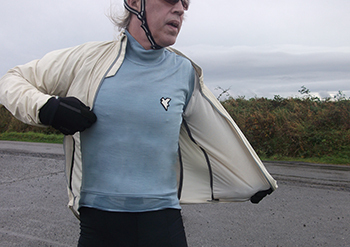 yet, in order to obviate one of the major fashion faux pas that a modern-day rider can impinge on an adoring public, one displayed by a rider who accompanied us only a couple of days ago, the accompanying armwarmers are securely fastened to the jersey's sleeves by a series of buttons. 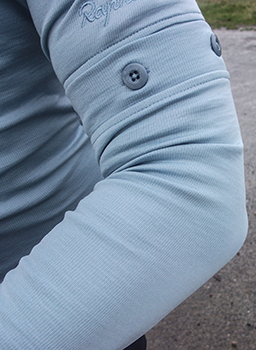 it really beggars the question as to why this trend hasn't been continued into the 21st century; there is little worse in a speeding peloton than a noticeable gap between armwarmers and sleeves. oh, the shame. those armwarmers are of a length that brought smiles of joy on a chilly sunday morning. of course, the inherent style of any of the jerseys on offer places a burden on the wearer; you really cannot simply wear this garment just because it was the one within easiest reach. 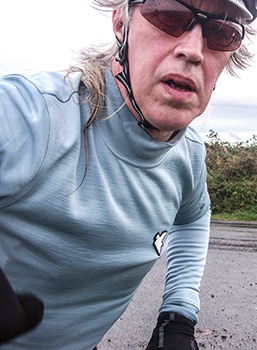 there is a concomitant level of panache that must be displayed during the sunday ride; at the very least, you'd want ian steel to be proud of both the jersey and rider. so far the temperatures on the edge of the atlantic have demanded that the armwarmers remain firmly affixed to the jersey, though i am firmly of the opinion that removing them would require a pit stop to accomplish. that would undoubtedly come under the heading of faff once more, but in truth, it would be an honour to suffer so lightly in tribute to those who rode one of history's hardest events. rapha's commemorative peace race jersey is available in blue (as reviewed), burgundy, deep red and brown, all featuring the peace race dove on the left breast. it is available in sizes ranging from xs to xxl at a retail cost of £150. the board game is now unfortunately sold out.